Zahrina Robertson is a leading international authority on the Power of Personal Branding. An award-winning photographer, videographer, speaker, and author of the new book “MAGNETIC Branding” - The Complete Guide For a Brand that Attracts! Zahrina has photographed events and people like Richard Branson, Simon Sinek and many other leading international entrepreneurs. Head hunted by Arianna Huffington from the world’s largest online publication, The Huffington Post. Zahrina possesses an unmatched ability in the field of personal branding transformation. Over the years, Zahrina has captured brand images for leading brands such as Qantas, Business Chicks, and Tourism Australia as well as international entrepreneurs like Richard Branson, Carla Zampatti and Ita Buttrose. Zahrina has been engaged as a speaker for Westfield, WOW Women and ICALM, Business In Heels and more. Zahrina is a highly sought after speaker - conducting workshops on personal branding to guide and motivate corporates, start-ups and entrepreneurs to success. For Zahrina Robertson taking photos is deeply personal. From the moment she picked up a camera as a child, exploring the beauty and simplicity of the world around her, she was hooked. Born into a home where cameras had pride of place, Zahrina took up photography as not only a way to make a living but as her way of making a difference in people’s lives. Inspired by her father, who was a photographer and later an international inventor, she was in awe of his ability to take every day things and transform them. Fast-forward to now, and her passion for photography and connecting with others is what sets her apart. For Zahrina, photography is not a job; it is an extension of her psyche and her heart. It gives back and feeds her soul by allowing her to tap into her creativity. Her gift behind the lens, coupled with her passion for personal branding, sees her create photos that have people going ‘ WOW ’. There is no ‘point and shoot’ in Zahrina’s studio. She doesn’t just do head shots; she is a maverick magician who makes people’s personal branding irresistible. The journey of creating an entrepreneur’s personal brand starts even before Zahrina picks up a camera. Her genius is in transforming people - helping them to really think about their brand, their business messages, how they can do things differently – and ultimately capturing their magnetic x-factor. Zahrina’s gift personifies the saying ‘a picture is worth a thousand words’. She understands that an image defines a person’s brand and believes that those first few seconds are vital, especially for 21st-century entrepreneurs. The image has to tell a story, to capture the heart and soul, and to engage the viewer so they see the ‘real’ person they are about to do business with. As a keynote speaker, Zahrina’s authenticity is one of her greatest assets. She has the ability to take people with her every step of the way as she demystifies the complex world of branding – ensuring that they truly understand how to do it better, and the value of getting it right. Honest, funny and quirky, Zahrina leaves her audiences secure in the knowledge that she knows her stuff and that she has imparted valuable information to help them create razor sharp branding. 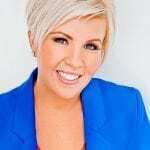 Her wisdom and insights on how to use imagery to connect with clients see her regularly approached by the media and businesses who want to stand out and be noticed. Zahrina has photographed such international entrepreneurs as Ita Buttrose, Tim Ferris, Taki Moore, Matt Church and Dale Beaumont. She has also covered events featuring Richard Branson, Martha Stewart, George Clooney and stars of the music industry such as Dannii Minogue. Street smart, savvy and classy, Zahrina is a multi-award winning photographer and a Telstra Business Woman of the Year nominee. After a whirlwind five years she has expanded her business beyond Sydney into Brisbane and Melbourne. A philanthropist and passionate campaigner, Zahrina loves to give back to the community. After winning the Commonwealth Bank omen in Focus essay competition, she travelled to the Northern Territory to volunteer for nine days in a remote aboriginal community with the Moriarty Foundation. Her journey ignited her desire to make a difference to the literacy levels within the Australian Indigenous community. The trip spawned a series of presentations and a children’s photographic book entitled ‘Zahrina and Tina’s Outback Adventure Book’, in which she shares her experience using both story and images. Zahrina travelled to New York where she was asked personally to photograph celebrity Aviva Drescher from the Real Housewives of New York City, as well as other dynamic international entrepreneurs. While Stateside, Zahrina conducted workshops at the Australian Consulate and addressed New York networking communities on personal branding. This trip saw her expand her business internationally to include personal branding shoots in New York as well as her pre-existing photography studios in Sydney, Melbourne and Brisbane. Recently Zahrina won numerous international business awards. 2016 saw the launch of her new book - MAGNETIC BRANDING! - The Complete Guide for a Brand that Attracts! - available now online and in Dymocks stores. 2018 and beyond will see Zahrina expanding her speaking horizons and creating million dollar personal brands for many more business people! She is what an organiser looks for to deliver high-quality content with charisma. A true professional on Personal Branding!